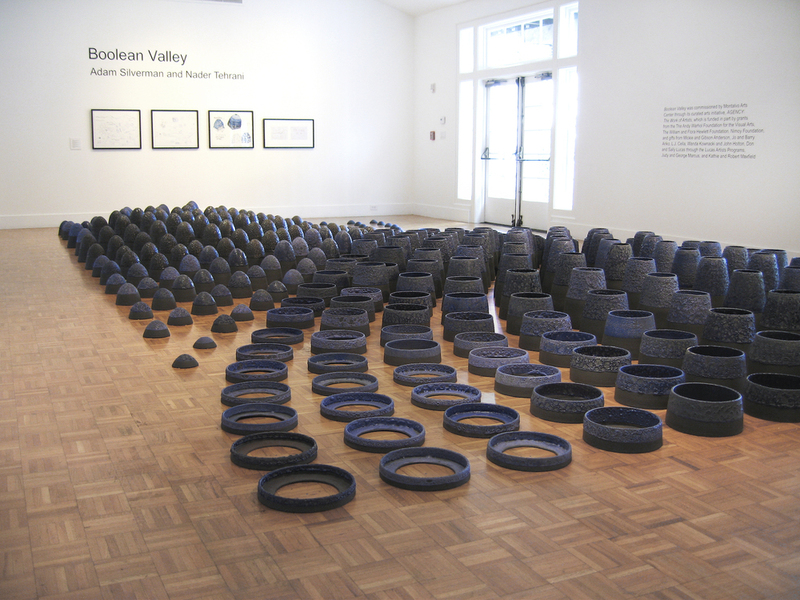 Boolean Valley is a collaborative project between Adam Silverman and architect Nader Tehrani. 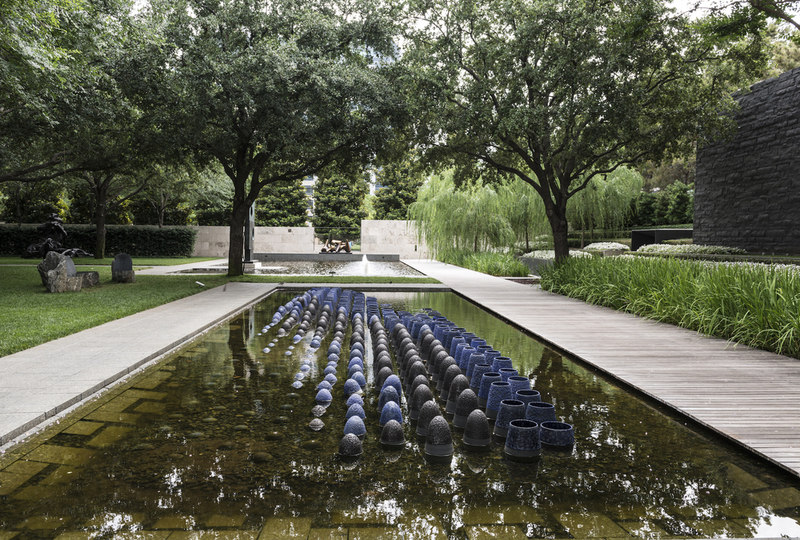 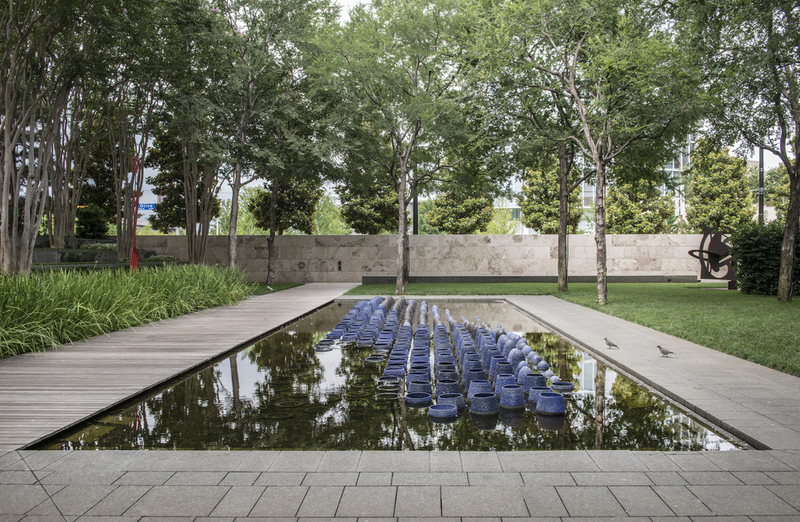 It is an installation comprised of 400 cut, clay objects glazed in a compound of cobalt, silicon and carbide that, together, form a topographic sculptural landscape. 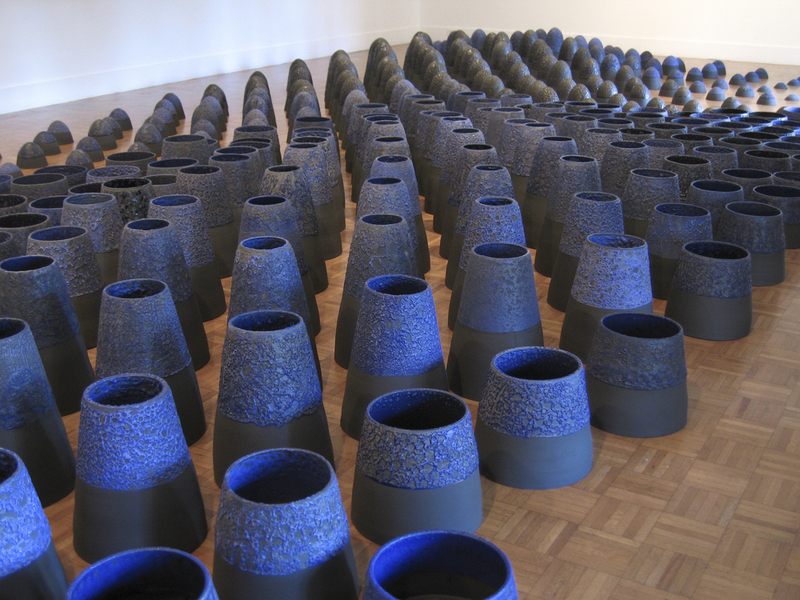 Tehrani, who uses advanced software and parametric modeling, created a boolean logic that forms a field (or valley) which is inhabited by Silverman's ceramic objects.